Andrew McCabe has decided to call it quits at the FBI, where he served as deputy director. He left earlier than expected, caving under pressure from Donald J. Trump and congressional Republicans who said he was biased against the president. Why? Because his wife is a friend and ally of Hillary Rodham Clinton. 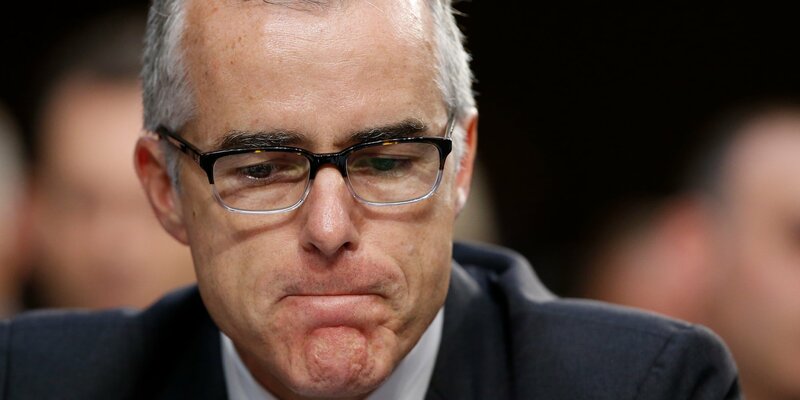 McCabe also stood up for fired FBI director James Comey, who Trump dismissed this past year after Comey declined to pledged total loyalty to the president. And, oh yes, there was that “Russia thing” that still hangs over the Oval Office. In the midst of all this, Trump reportedly asked McCabe in a private discussion about who he voted for president in 2016. Interesting, if true. It’s also quite dangerous. I join others who are concerned about what might happen next. The FBI director, Christopher Wray, will find someone who is decidedly less independent to serve as deputy director. There well might be a push to squeeze the life out of a probe into whether the Trump presidential campaign colluded with Russian hackers who sought to influence the 2016 election outcome. McCabe’s forced resignation suggests pressure from the White House, from the Oval Office to guide the special counsel’s Russia collusion investigation to a desired outcome. Previous PostTrump speech will get graded on style pointsNext PostWho will hug the aisle at the SOTU?